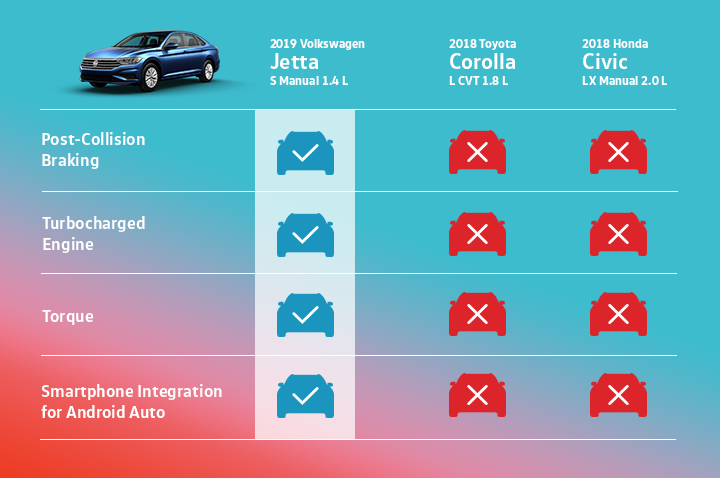 The new 2019 Volkswagen Jetta has arrived. Rather than adding needless flash, the Jetta has been redesigned for a tasteful, more premium look and feel. One quick glance is all it takes to appreciate the result. Considering a Civic or Corolla? See how the all-new Jetta, with a best in class warranty, stacks up against the competition! Scoring big points. At a smaller price point. 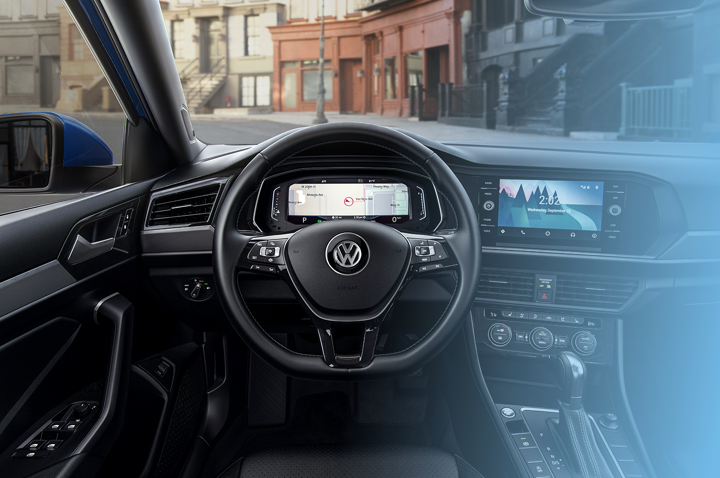 Schedule your test drive today in the 2019 Volkswagen Jetta!